Caits Meissner and Tishon present LIVE! 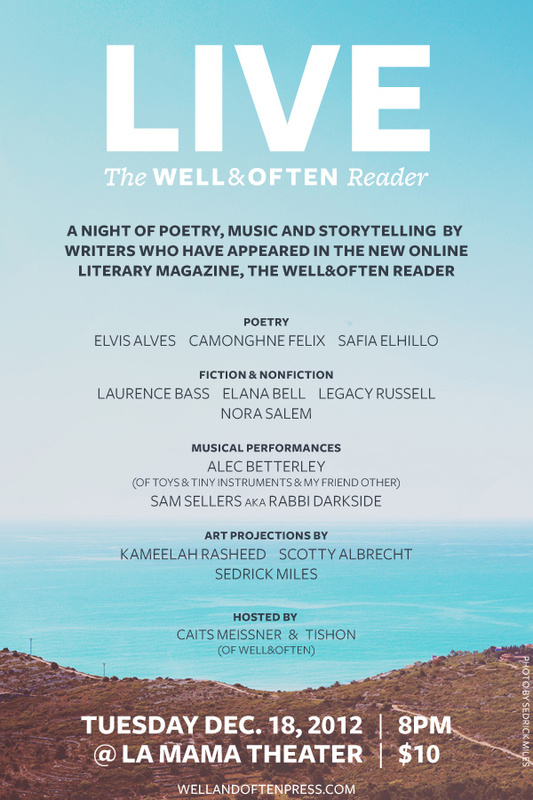 A night of poetry, music and storytelling from writers who have appeared in the new online literary magazine, The Well&Often Reader. Art projections featuring the work of The Reader interview editor Kameelah Rasheed and featured artists Scotty Albrecht and Sedrick Miles. Hosted by Caits Meissner, Founding Editor of Well&Often and Tishon, Founder and Creative Director of Well&Often.